A few years ago, I decided to make a note of which lawmakers sought or ran on NRA’s endorsement who initially refused to step up and support national reciprocity. After people reported calling the offices of the mysteriously missing potential co-sponsors, several stepped up and signed on. While looking at the Pennsylvania angle again for this year, imagine my surprise when I found some key names left off of the sponsors list – again. 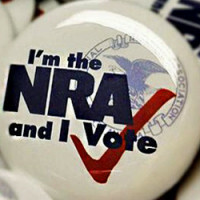 I might add that Rep. Rothfus actually didn’t have the NRA endorsement last time around. He had an A rating, but with the incumbent Democrat’s record, it was issued to the incumbent. For 2014, Rep. Gerlach is retiring, but the others will be on the ballot. Reps. Dent, Barletta, and Pitts are expected to be pretty safe, so I’m surprised that they are not willing to help their law-abiding license holder constituents. In fact, Charlie Cook has all three of those seats, plus Rep. Meehan, in the “Solid Republican” category as not really competitive. In 2014, I find it hard to get excited by candidates who don’t even think that law-abiding citizens who undergo regular background checks still can’t be trusted with firearms. If you live in any of these districts, it might be good to let them know that you noticed they wanted your vote in 2012, but that they won’t even get on board with national reciprocity. What piece of legislation, specifically, are you referring to? I’d like to look it up before I contact my rep, who is on list 2. Sorry, thought I added that last link to the information. I’ve corrected it, and you can see it here, H.R. 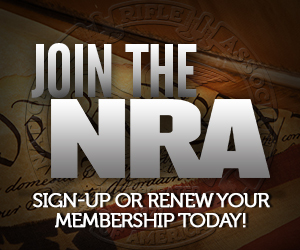 2959 – “The Right-to-Carry Reciprocity Act of 2013”. I’m a little concerned that any national CCW will come with an attached Manchin/Tomey amendment or CCW standards that are regulatory powers delegated to the AG or ATF. Weird that Pitts isn’t on it. I’ll contact his office. This bill will die unless it is attached and hidden in something else. How you think we got carry in national parks? It was attached to the Credit CARD act. Obama signed it!! !